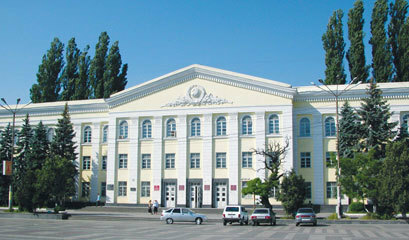 Dagestan State Medical University was established in 1932. The University is located in Makhachkala city. It is the capital of Dagestan Republic. Makhachkala is a well-built and picturesque modern city. During the year of its existence the University has trained more than 25 thousand specialists, 100 doctors of sciences and 350 candidates of science. Many of its graduates have become well-known scientists, organizers of health protection and work in many regions of our country, and foreign countries. undergraduate and postgraduate education. Over the past 83 years, more, than 27, 000 of successful doctors have graduated from the University, including 700 foreign students from different countries. Over the years, Dagestan State Medical University has become a real school of medicine. Specialists, who have graduated from Dagestan State Medical University, have always been known for their strong educational background, obtained at this higher educational institution. Dagestan State Medical University provides students with a world class education in and environment full of new opportunities and ideas which will help to shape your future. Our students are involved in a range of activities ranging from sports through to arts, social and other intellectual pursuits and enriching activities. The University encourages students to take an active part in a wide variety of athletic programs. Students participates in year-round recreation, including football, tennis, basketball, swimming in summer, or skiing and skating in winter.